The new Acura MDX ranks no 1 amongst 17 mid sized luxury SUVs. This ranking is based on published reviews and by test drivers. Acura MDX offers combination of high tech and smooth handling in its class. For 2010 model it has received new modifications like new six speed transmission and new interior technology. Acura MDX has an average price in its class and most of the people say that it worth the amount with all these features. Acura MDX is excellent and most fun to drive car with beautiful looks. The powerful MDX V6 engine with 300 horsepower, gives Acura MDX advantage over its competitors. Fuel economy is also average with 16 mpg in city and 21 mpg on highway. MDX impresses its users with luxurious interior and comfortable seats. 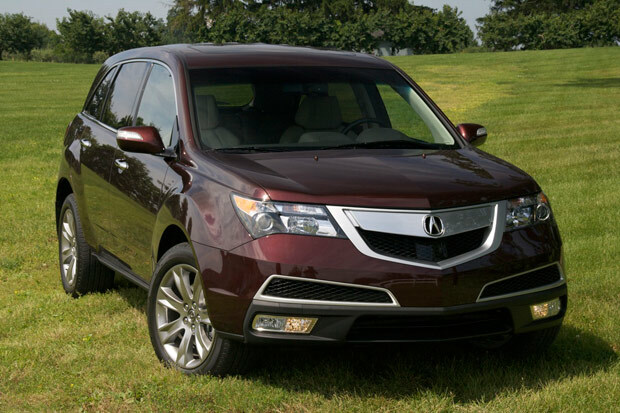 Acura MDX 2010 comes with 3.7 liter 300 horsepower V6 engine, which is very powerful. The acceleration and speed is good, test drivers like the power of MDX. Its smooth and sporty handling is excellent, which is powered by Active Damper Suspension. 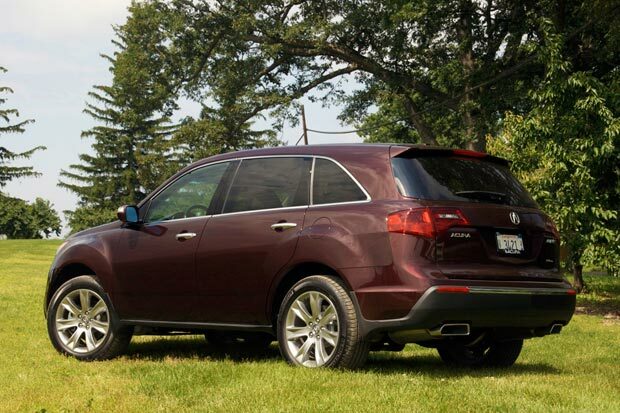 Some of the reviewers find the exterior unattractive, but you just cannot ignore the MDX. The main criticism is on the large grill in MDX, which doesn’t go with SUVs. No other SUV can beat MDX on interior, which receives praise for its luxurious and comfortable seats. It is especially suitable for families because it comes with a standard third row seat. It has seating capacity of seven people that is enough for one family. There are some complaints about its cabin design, but there are some modifications now. The first and second rows are very comfortable, but the third row is not enough for adults. Acura MDX interior stands out because of the latest technology and high tech options. There is new Bluetooth connectivity feature, an ipod adapter and a satellite radio. MDX comes with automatic climate control, moon-roof and power windows, sound system and power tailgate. MDX has average cargo space in its class, but excellent cargo space for 3 row vehicle with 15 cubic feet and 83.5 cubic feet with third row folded. MDX receives 5 out 5 for safety for driver and passenger safety in fontal and side crash tests. Acura MDX is the safest car to drive, which comes with anti lock brakes with Electronic Brake Distribution and Brake Assist. MDX also has six airbags; two front airbags, two front side and two side curtain airbags. Acura MDX is the most reliable car in its class. It has reliability score of 8 out of 10, which is very good for any vehicle. Acura MDX is the best choice for everyone, if you are looking for SUVs.